An Soyuz 2-1A has successfully deployed six Globalstar communications satellites into orbit on Wednesday on behalf of Arianespace and Starsem. 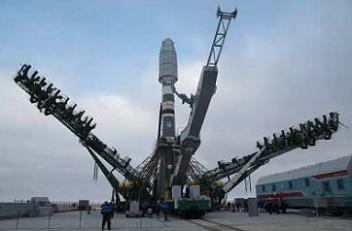 Liftoff was on schedule at 16:04 UTC from the Baikonur Cosmodrome in Kazakhstan. This was the last of four launches for the second generation Globalstar satellites. 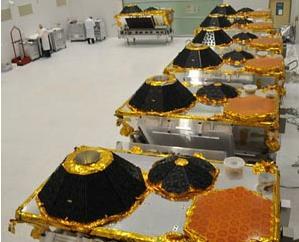 Globalstar is one of three major networks of commercial communications satellites in low Earth orbit, along with Iridium and Orbcomm. Like Iridium, and unlike Orbcomm, Globalstar is designed to transmit audio communications for satellite telephony. Globalstar provides coverage of the Americas, Europe, parts of Russia and Asia, Australia and New Zealand. When completed, the second generation network of satellites will be made up of 32 operational satellites in circular orbits 1,414 kilometres in altitude, inclined at 52 degrees to the equator. Read more: Soyuz 2-1A successfully deploys second gen Globalstar constellation | NASASpaceFlight.com.